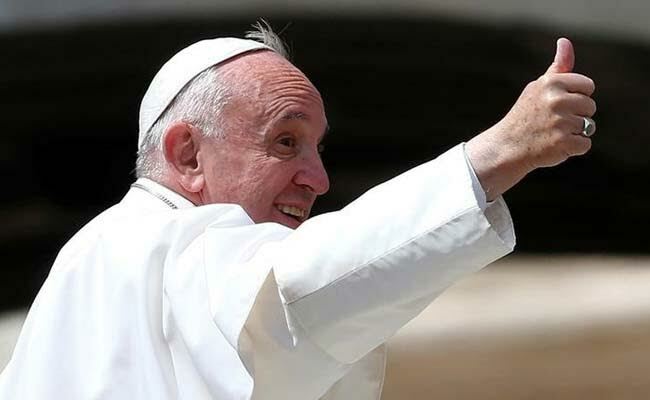 Cairo: Pope Francis arrives in Cairo on Friday hoping to mend ties with Islamic religious leaders just as Egypt's ancient Christian community faces unprecedented pressure from ISIS militants who have threatened to wipe it out. In an address to the Egyptian people this week, Francis spoke of his hope that his visit would help bring peace and encourage dialogue and reconciliation with the Islamic world. But it comes at a painful time for Egypt's Copts, the Middle East's largest Christian community, three weeks after ISIS suicide bombers killed 45 people in twin church bombings. ISIS attacks and sectarian wars in Iraq, Syria and elsewhere are devastating Christian populations and jeopardising their future in the Middle East, the birthplace of Jesus and home to the earliest churches. Despite the security threat hanging over Francis' visit, the pope will use an ordinary car during his 27 hours in Cairo, continuing his practice of shunning armoured limousines to be closer to people. Streets near the Vatican embassy in Cairo and other sites have been cleared of cars and blocked off, and pedestrians have not been allowed to linger. "After all the pain we have experienced ... we are satisfied and confident that the state is taking strong security measures to prevent terrorism and protect churches," said Father Boulos Halim, spokesman of the Coptic Orthodox church to which the majority of Egypt's Christians belong. "It's in the state's interests to protect its nationals and the Copts are not an independent people, they are part and parcel of the nation itself." Francis will meet President Abdel Fattah al-Sisi; Sheikh Ahmed al-Tayeb, the Grand Imam of al-Azhar, the world's most influential seat of Sunni Islamic theology and learning; and Pope Tawadros II, head of the Coptic Orthodox Church who narrowly escaped a church bombing in Alexandria on Palm Sunday. Ties were restored last year after Tayeb visited the Vatican. Tayeb, widely considered among the most moderate clerics in Egypt, has condemned ISIS and its practice of declaring others as apostates and infidels as a pretext for waging violent jihad. Francis denounces violence in God's name. Papal aides say a moderate like Tayeb would be an important ally in condemning radical Islam. But Tayeb is under fire over the slow pace of reform at Azhar, which critics in Egypt's parliament and media accuse of failing to combat the religious foundations of Islamist extremism. They say Azhar is an ossified institution whose clerics have resisted pressure from Sisi to modernise their religious discourse. Reynolds was one of 15 Catholics who took part in a dialogue on religious extremism with Muslim counterparts in Cairo in February.